Hedayet Institute has no connection or relation to any political or religious individuals, bodies or organizations. All the faculty and staff are academically and professionally trained and possess legal work permits. The institute retains its legal right to prosecute anyone or any organization that claim any connection or link to Hedayet Institute. At Hedayet Institute for Arabic Studies, we have made Arab-Western cultural understanding our mission. We believe that learning the Arabic language in its cultural context is a crucial element in building a bridge of understanding and appreciation between the East and the West cultures. We also believe that one of the best ways to learn a language effectively is total language immersion. Living the language in its Arabic cultural ambience, through state-of-the-art proficiency-based material and cutting-edge teaching methods, is the learner’s fastest way of mastering the functional skills of Arabic. Striving to make international students and expatriates feel at home in this very rich Arabic atmosphere, is our way to reaching our goal. Our philosophy of Arabic language teaching views any language in its cultural context and as an indispensable foundation that provides meaning and necessitates communication. We seek language teaching that brings about understanding and appreciation of the other and that bridges the Arab and Western, as well as, the other world cultures. Our strong belief in this philosophy has led us to focus on empowering our students to use language proficiently within its cultural context. Only by fully embracing the Arab culture one can master its language and reach a true understanding of its political, economic and historic depth. Our teaching thus aims at providing meaningful insight into and access to Arabic authentic materials. It also facilitates direct exposure to different facets of the Egyptian and Arab culture through a wide variety of activities inside and outside the classroom. At Hedayet Institute of Arabic Studies, we are also aware that your emotional memory as a student helps you retain any knowledge you acquire. 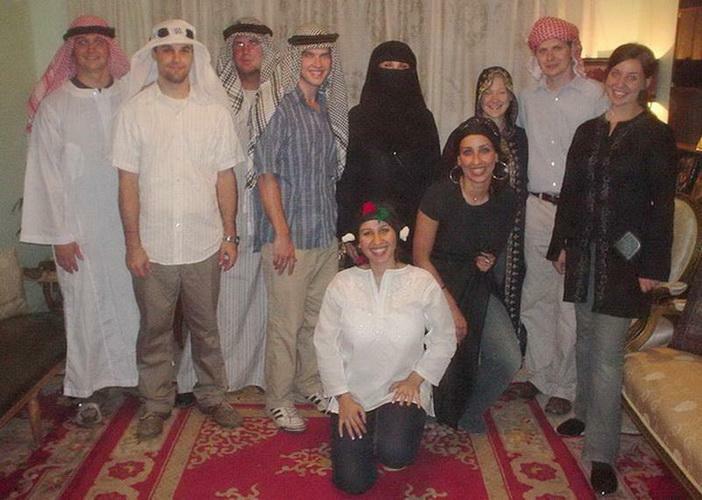 The institute has a real Arab atmosphere and ambiance that re-enforces your Arabic experience. Total language immersion internalising the patterns of communication and cultural perspectives associated with Arabic. At Hedayet, you will experience a real cultural exposure with our unique communicative teaching approach. We strongly encourage students to speak only in Arabic. A flexible program with tailored courses to your needs which enhances career advancement. Also, all programs may be offered on a part-time basis with evening and week-end classes, within an array of intensive and non-intensive programs to serve a range of career goals. Experience of Egypt: The historic, cultural, and intellectual richness in Egypt is unparalleled. Having one third of the world heritage, Egypt is one of the largest and oldest civilisations. In Egypt, you will enjoy some of the most naturally beautifully sites worldwide, whether you venture the Red sea best diving resorts in the world, or the breath-taking Oasis in the Western desert. 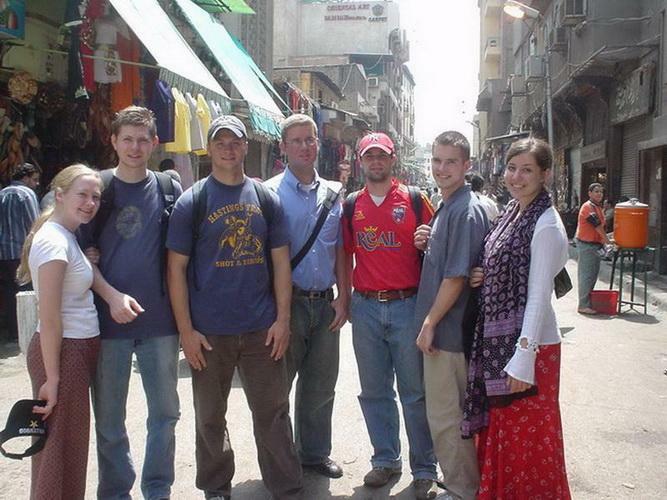 As a Hedayet student you can join trips to a wide variety of cultural, natural or historic sites across Egypt. Experience Cairo: one of the most ancient cities of the world that encompasses Pharaonic, Greek, Roman, Jewish, Christian, Islamic, and Modern sites. Cairo has a buzzing cultural and intellectual night life, unmatched by any Arab city in the region. Maadi, where Hedayet is situated, is also one of the greenest and environmentally friendliest suburbs of Cairo, and is only 20 minutes from downtown. Nagwa Hedayet has been teaching Arabic as a foreign language for over thirty years. She has contributed to the field of Arabic and Islamic Studies through several of her teachings, research, community service, language programs, developed curricula, and Arabic Language teachers’ training. She was the director of the Arabic Program at the Islamic Center of Southern California in Los Angeles. 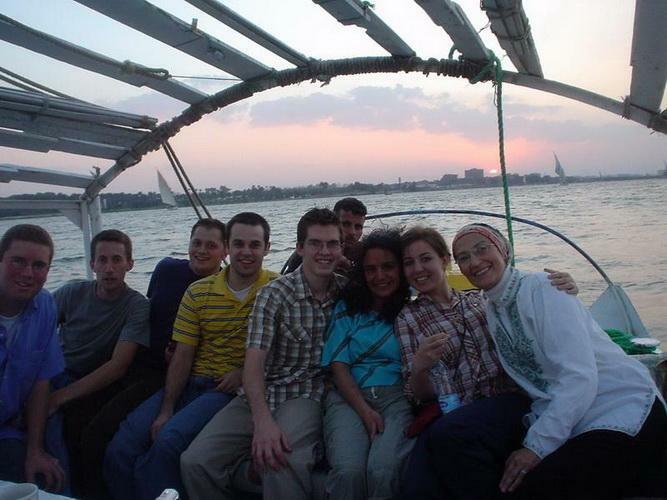 She also taught Arabic and Islamic studies at different programs including the Center of Arabic Studies Abroad (CASA) at American University in Cairo, Middlebury College in Vermont, as well as, different institutions in Russia, Saudi Arabia, United Arab Emirates and her native Egypt. Hedayet has particular experience in teaching senior professors from the US in the field of Middle Eastern studies (CASA III Program at AUC). Among her many former students are renowned names in the field of Arabic, Islamic, and Middle East Studies. Hedayet was among the first certified Arabic Oral Proficiency Interview (OPI) testers in Egypt by the American Council on the Teaching of Foreign languages (ACTFL). Several of her research in teaching methods has been presented at several international fora and served different universities, education ministries and language centers across the globe. Hedayet founded the Hedayet Institute for Arabic studies in Egypt in 1994, aiming to set a different approach for the teaching of Arabic language in Egypt and the Middle East. She has a BA in Political Science with a minor in Arabic Studies and an MA in Arabic Studies from the American University in Cairo (AUC). Her Ph.D. was in Islamic/European History (Andalusia) from Cairo University. Hedayet Institute for Arabic Studies prides itself in having highly qualified instructors with long teaching experience in Arabic as a foreign language and other related areas such as Arabic literature, oriental music, tajweed al Qur'aan, Coptic history, Islamic architecture, Arabic calligraphy and women's studies. One of our faculty members is the first prize winner of Arabic Critics in Dubai in 2002, another is the prize winner of the Arab calligraphy contest in Saudi Arabia. Hoda al-Saadi: Professor of Arab/Islamic History at Egyptian universities and at the American University in Cairo. Working with HIAS since 1998. Wafaa Abu Bakr: MA in TAFL from AUC. Worked with HIAS since 1998. Shahira Yaquut: MA in TAFL from AUC working as a consultant instructor with HIAS since 1998. Ayman Bakr: BA in Arabic language and literature and Ph.D. in Arabic Critics from Egyptian Universities. First Prize winner of Arab critics in the International Arab Contest in Abu Dhabi in 2001. Dr. Omayma Abu Bakr: MA & Ph.D. from Cairo University, director of Women Forum in Egypt. Lecturer and consultant of HIAS on women studies.